Twenty-four funky mini lacquers that pack a powerful punch! Whether you define your style with high contrast Black Out or are looking to take a walk on the fiery side with Hottie, you'll find the right color to match your mood. So go ahead... pick your color! Great stocking stuffer! The first color collection designed to compliment your complexion. Select your favorite from these six gorgeous and wearable shades, or let the built-in Color Selector recommend your personalized perfect color. 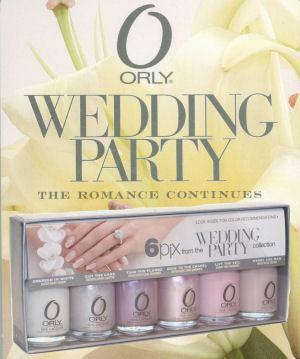 Wedding Party 2006 Bridal Collection features "something old and something new " with six brand new shades and four on-going bestsellers. The ten colors include sheers, opalescents, smooth glitters and classic crèmes, and add a lovely finishing touch for that timeless wedding gown and beautiful bridal bouquet. This delightful collection offers the essential accessory for your client’s picture perfect wedding sure to please each and every type of bride. 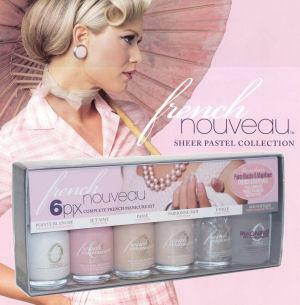 Introducing French Nouveau, a premier pastel collection that takes the Original French Manicure to the next level. 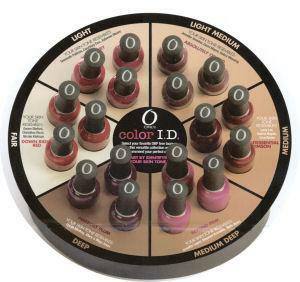 This assortment of 20 beautifully sheer shades includes subtle cremes, delicate shimmers and smooth glitters. 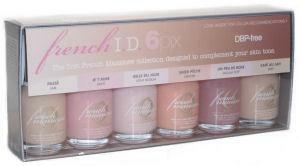 Plus the collection introduces two new French Manicure innovations: Magnifique and Pointe Blanche. Magnifique: French Manicure topcoat contains optical brighteners and UV protection for a quick-drying and durable finish. It's a must-have for a consistently beautiful and luminous French. Pointe Blanche: A lacquer and rubberized basecoat in one that comes with a precision brush for easier and cleaner application of French tips. The brush has half the bristle count of that of a standard lacquer. The result is thinner bristles which reduce excess polish and eliminate the need for polish correction.